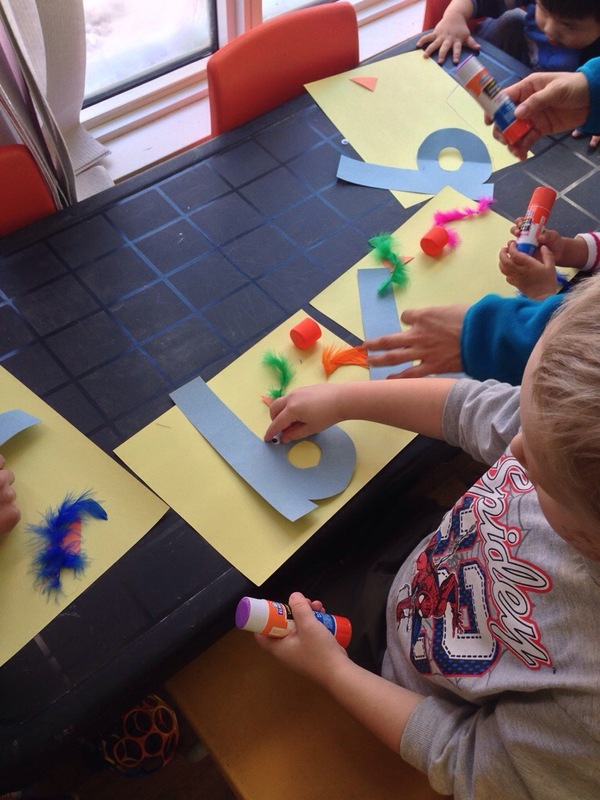 We continued on with our alphabet soup theme. 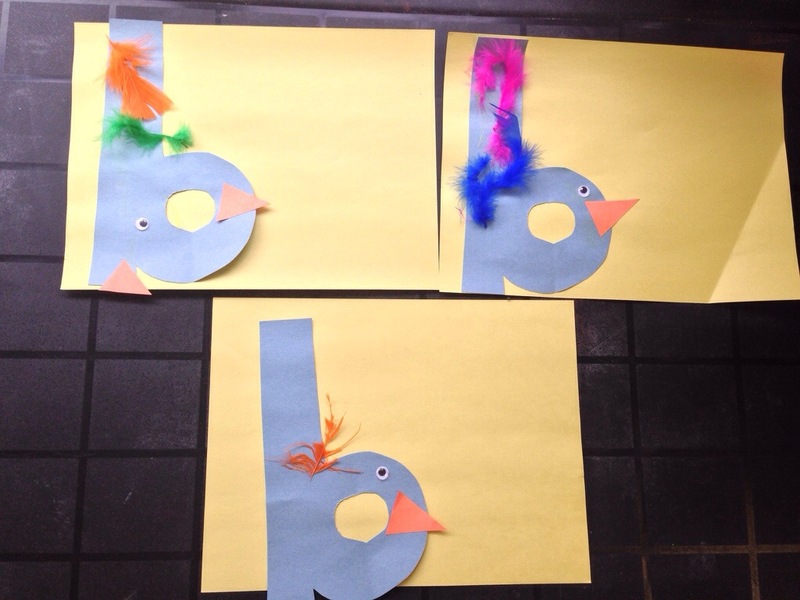 This week we made a bird out of the letter “b”. The snack was from the Alphabet Soup in Motion handbook. Mix the cream cheese and yogurt with dill and onion powder. Spread mixture onto tortilla and sprinkle on veggies. Roll up into a wrap.